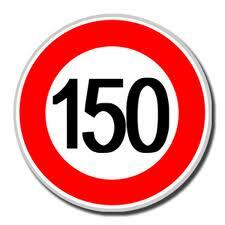 Today is a momentous occasion for me as I am writing my 150th article for this site. What you may not know is that this is my second blog site; a few years ago, both my website and my blog got hacked by some #&$^#(# people – reasons unknown. That site had about the same amount, a little more than the 150 articles. Needless to say, I was devastated that I had to start over and rebuild my online presence. However, even though it was a blow, it did force me to enter a bigger and better area for my business. I began writing more and soon noticed that my messages were clearer, more impactful and I was gaining recognition from “big players” (Forbes Woman, CLO). I found that I was being contacted to joint venture and was noted for my expertise in the areas of careers and leadership. It also helped me to rebrand and to step into a bigger arena. Set new goals – SMART goals – to help you playing a bigger game; I didn’t put a time on when I wanted to get back to that 150 number but I had it in my sites and ‘slow and steady’ became my theme. Although I didn’t have the opportunity to plan out how I would refocus and rebrand my business – I was forced – I am thankful (now) that the situation occurred. Whoever did this has a “power agenda” in mind, namely to show that they can. For some people, this would have imploded their business but I am a persistent and resilient type so I believe I was the powerful one here. For you, you have the opportunity to create and make changes on your own terms. So take a lesson and celebrate with me today and I will reciprocate and celebrate your successes with you! Would love if you would share them here. If you would like to gain more clarity and leap into a bigger game, I’d love to work with you! Thanks Cathy – keeping the eye on the ‘big picture’ and going for it. Thanks for connecting! got here on this post. I might be coming back to your weblog for extra soon. Thanks for following and I hope you continue to do so! I’m glad you see value as that is my mission. Thanks for following and I hope you continue to do so. I’m happy that you are finding the information useful – hope you keep coming back! Thanks for following – I’ll be sure to look at yours as well! Thank you for the kind sentiments. I’m glad that you enjoyed the article and I hope you’ll continue to visit. Thanks for coming by and I hope you keep coming. I think it’s awesome that you want to give back to others – good luck! very internet savvy so I’m not 100% positive. I’d suggest staring with the wordpress.com platform and start putting out content. WordPress is easy to set-up; it’s the content that counts. Good luck.